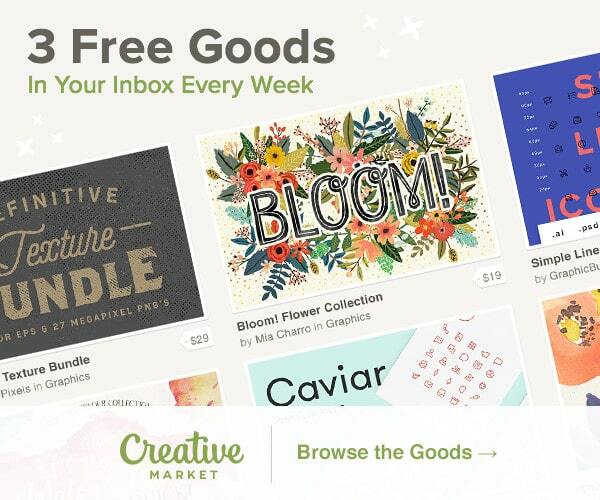 JOIN OVER 28,000 HAPPY CUSTOMERS AND TRY OUR FULL COLLECTION OF FREE WORDPRESS BLOG THEMES! 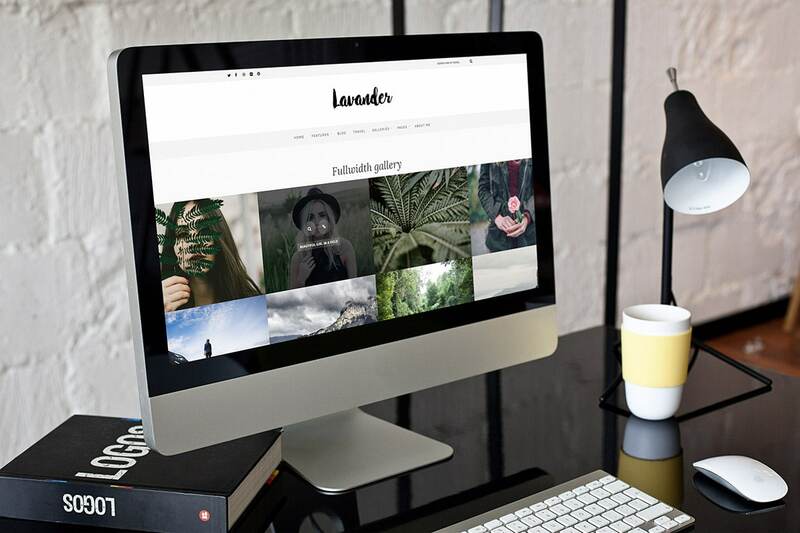 Look no further, if you are planning on starting a new blog, we collected for you the best free WordPress blog themes. You are welcome. Seriously, we just help you save a ton of time that you would need to find what you fancy. There are more than 1,500 free themes in the official directory alone. And thousands more elsewhere. Just imagine how long it would take you to go through all of them. Let’s face it, it can be a real struggle picking the one you like, when browsing through the infinite collection of themes in WordPress directory. It calls for a never ending story of scrolling and clicking and scrolling and clicking (nope, that’s not a typo). You do not want that. Nowadays’ standards and expectations in a website are high. Not only do they need to be mobile friendly and fully search engine optimized, but your visitors are also getting pickier and pickier. In other words, you cannot just go out there, click the first theme you stumble across and think you are done. In some of the cases, it might do the trick but it’s better to pay more attention to the design, responsiveness, SEO optimization and all other fancy stuff. 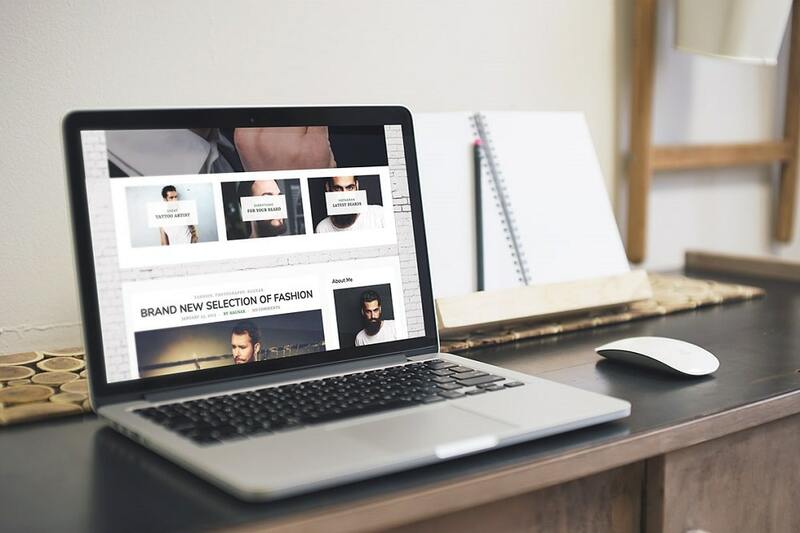 Or if you would like to check our own collection of free WordPress blog themes, from clean and minimal to bold and fashion blogs, we got you covered. After investing a good chunk of time into going through all the stunning free WordPress blog themes, we picked only the best of the best. Hint: we did not focus only on the themes from WordPress.org, we did a thorough research of the whole web. That said, whether you would like to start a personal blog, a travel diary, a food blog, a yoga blog or just any other kind of blog, these themes will help you start the new project straight away. Still, I advise you to use the free theme only to test the waters. However, if you are serious about your website and want to make it grow and potentially even earn a buck here and there, premium WordPress themes would be a better option for you. They offer so much more features, plugins and can be customized exactly the way you like it. To kick off your blogging journey in style, here is a collection of the finest free themes. The only thing left for you to do is to choose the theme that meets your needs, install it, add your personal touch to it and your online journal is pretty much ready. 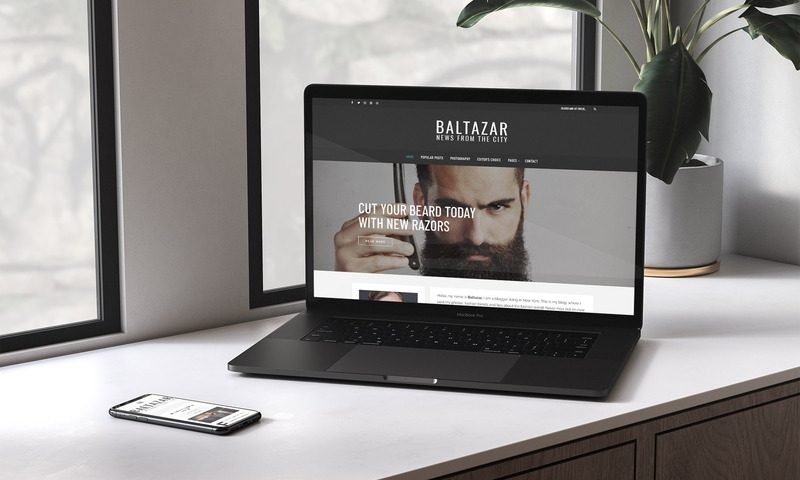 We bring you an extensive collection of different free WordPress blog themes and Baltazar Lite is one you should not miss. It is a spectacular tool for real gentlemen out there, yet at the same time, powerful and versatile enough to work with loads of different niches. Use it for lifestyle blogging, men fashion, traveling, DIY, you name it, the limits, other than your imagination, are none. Moreover, Baltazar Lite is also super simple to install and use so make sure you employ this fantastic free blog canvas to its full potential. Kick off your blogging journey strong with Baltazar Lite today and make a difference. Laura Lite is a sophisticated, modern and advanced free WordPress blog theme with a feminine touch. You can employ it for all sorts of intentions due to its flexibility and many powerful features. Not to mention, using, editing and managing Laura Lite is also quick and effortless, making sure every user can use the tool to its full potential. 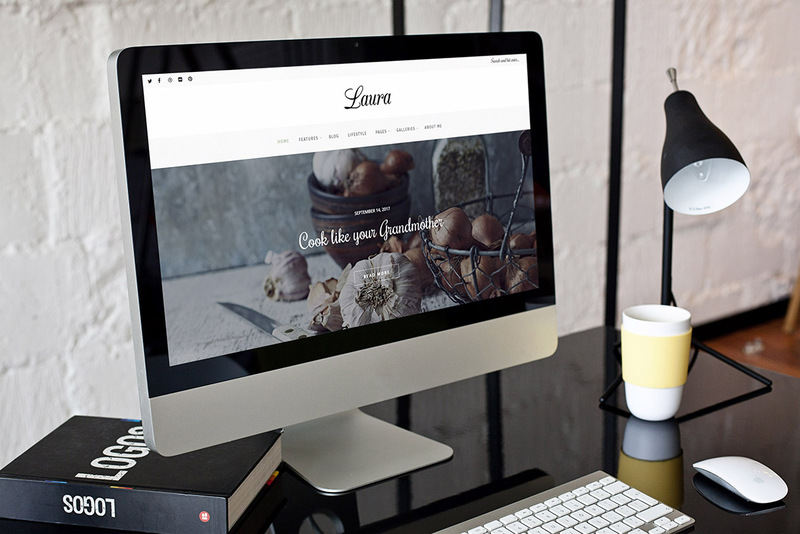 Start a personal blog, a food blog, a DIY blog, you name it, all this and a whole lot more is what’s possible with the always impressive Laura Lite. Jump in with both feet and get the traction going strong and see first results coming your way shortly after. There is very little work required, as well as no investment when you get your hands on Anariel Lite. This is a free WordPress blog theme ideal for all your lifestyle projects and whatnot. However, Anariel Lite is versatile and flexible enough for you to use it for all sorts of other aims, like fashion, travel and food, too. You are allowed to perform different customization tweaks, as well, but for the most part, the out of the box version of Anariel Lite will do the trick. It is clean, tidy, organized and packed with great assets. On top of that, the free theme is also responsive, mobile-ready and optimized to work smoothly on all modern web browsers. If writing is your passion and you plan on starting a personal lifestyle blog, you better do things the right way with Lavander Lite. Although a free WordPress blog theme, the features and amazingness are still there, ready for you to put them to use and take to your advantage. Look no further, download Lavander Lite now and have a fully active blog live in a breeze. After all, the majority of work has already been done for you, all you have to do is to edit Lavander Lite with your content and details and you are ready to roll. Besides, the tool follows all the latest web and tech trends to make sure your final product is always safe and secure. 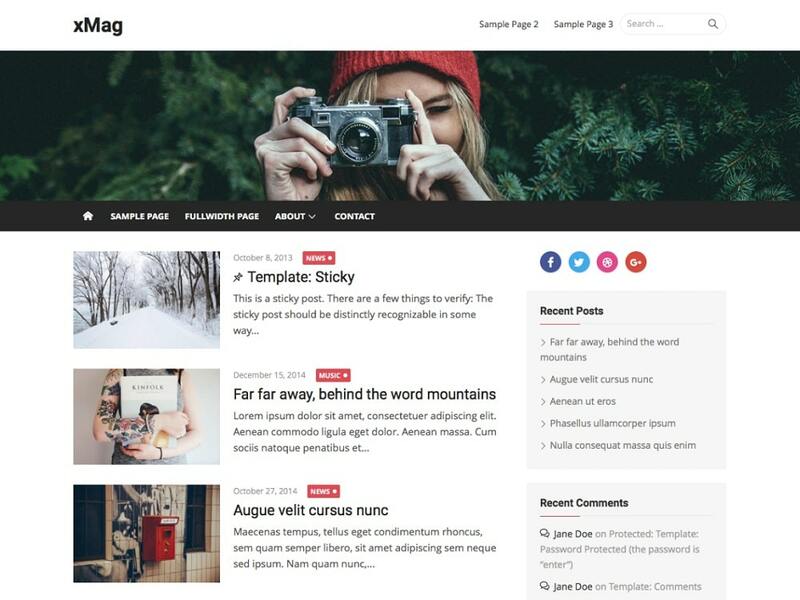 To get your blog up and running, you can choose the lite version of our WordPress blog theme, Ragnar. Revolution Slider and color changing features are disabled but you can still benefit from all the other features the free version has to offer. It is a bold theme perfect for any type of a blog where your amazing content will stand out and wow your readers. Bare in mind, even if you do not want to upgrade to the premium version, you can still use Ragnar Lite forever and enjoy the features it has in store for you. Cenote is a free WordPress personal blog theme with elegance and beauty written all over its web design. Start the experience by selecting one from two predesigned demos. One is a generic one and the other is entirely dedicated to fashionistas. Cenote is straightforward and clean, ready to push your enticing content and share it with the world. Search engine optimized, compatible with all modern web browsers and devices, Cenote is fully equipped for any challenge. On top of that, every theme user also gets free support in case of need for additional assistance. What’s more, Cenote is translation ready, comes with social media icons, sports a sticky menu and a widget rich sidebar and footer. With its modern and minimalist design, Everly Lite theme is a hipster inspired WordPress theme for bloggers and creatives. The main reason why it stands out from the crowd is due to its primary focus on promoting your content. Bring it forward and grab new visitors’ attention in an instant. Other than that, you can create stunning photo galleries without any real coding skills. However, if you would like to bring it to an entirely different level, you can always upgrade it to the premium theme version and benefit from so much more. 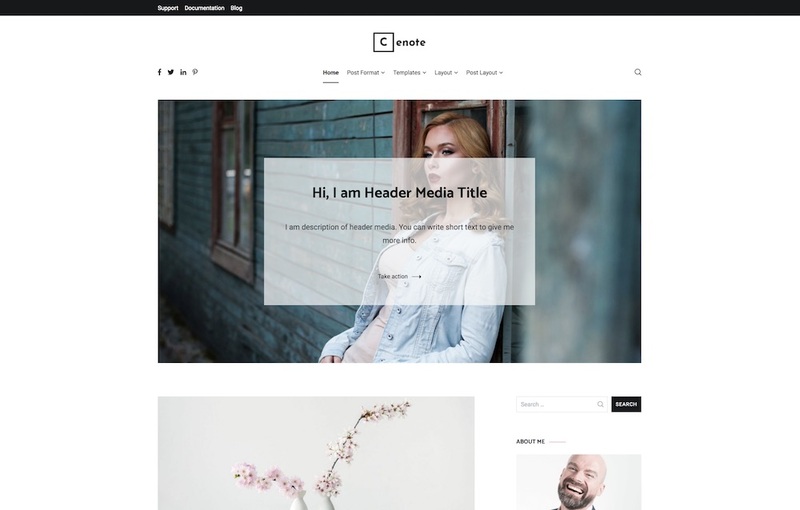 Compact One is a simple and responsive one page WordPress theme designed considering the all the needs of creative professionals. It is perfect for any business, firms, portfolio, agency, corporates, startups, freelancers websites. Compact One consists of 7 easy-to-customize sections that let you convey your story in a compact manner. It also comes up with essential features like a sticky header, full-width slider for home section, option to enable and disable gradient overlay for slider images, options for the slider text area and much more. 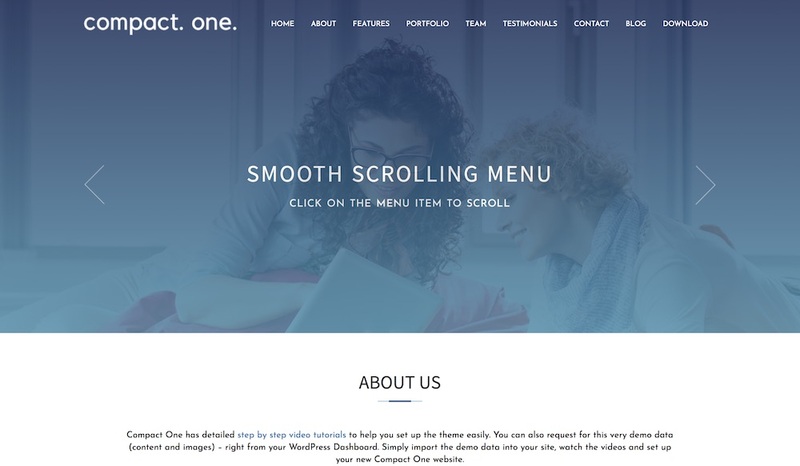 This free WordPress theme with smooth scrolling navigation is something you shouldn’t miss out. And here are step by step video tutorials to help you set up the theme. No matter the niche you want your blog to be all about, RichMasterXS is the perfect solution to bring your idea online. Blog about your traveling experiences, lifestyle, parenting, DIY, you name it, this is the theme that will realize your (secret) journalistic talent and take you on a fun online journey. 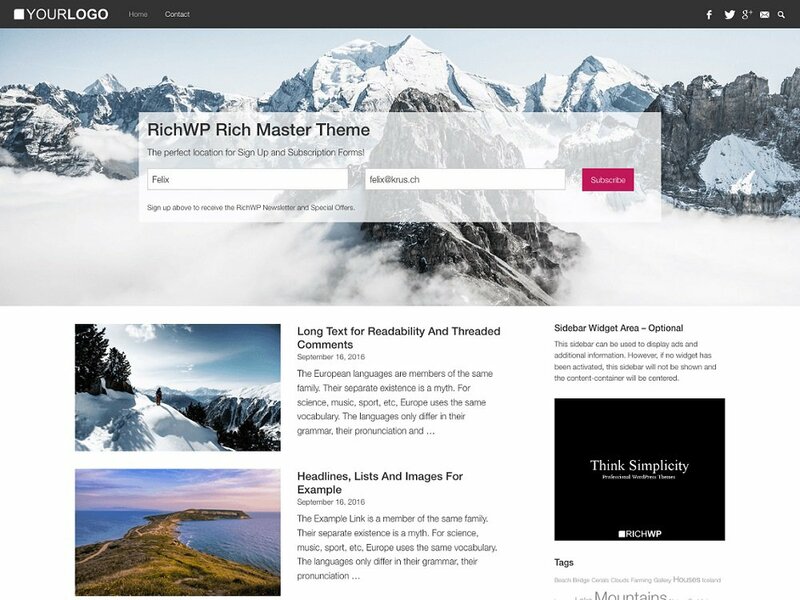 Although being a free theme, RichMasterXS will shine a light on your content in a very professional way. 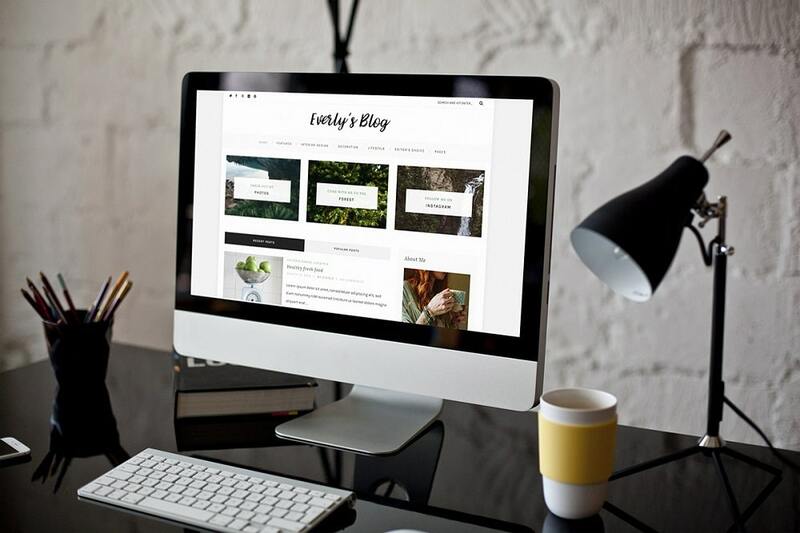 Make your blog look like it is a real deal and show your audience how serious you are about it. You won’t look anywhere close to amateur with this free WordPress blog theme. 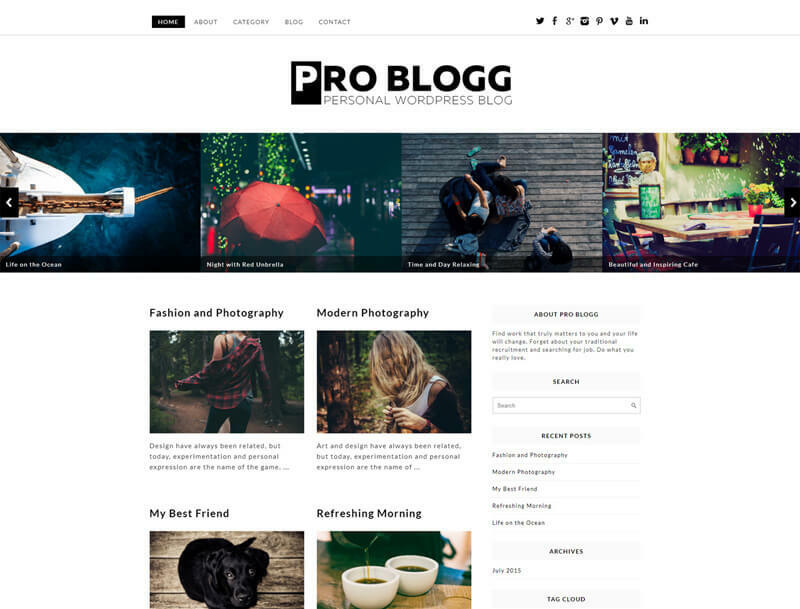 Pro Blogg is a free beautiful and simple blog theme with a blogger in mind. With clean and modern design and aesthetic feel, showcase your content in a contemporary and timeless style. The theme has a beautiful design, with a nice slider carousel, catchy typography and clean appearance. Pro Blogg gives you full power to customize and visually impress your audience. With SEO friendly design and mobile ready layout, your blog will stand out from the crowd easily. If you are looking to build a cutting-edge blog page, you better look into Type free WordPress blog theme. It is neat, elegant and straightforward. 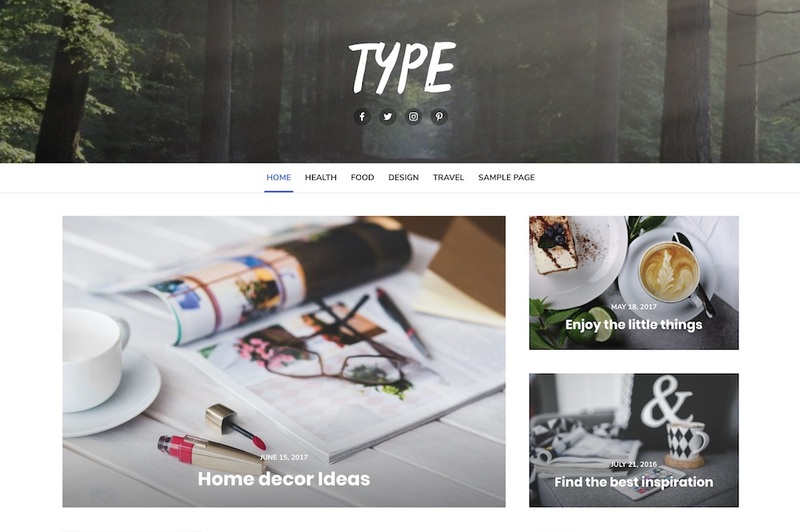 Type comes perfect for bloggers and journalists of all types; food, travel, fashion, lifestyle, DIY, you name it. 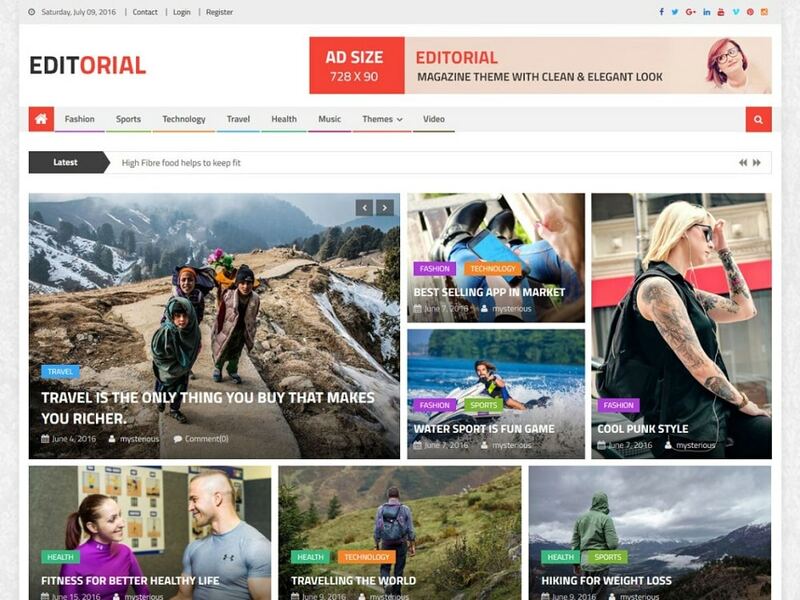 With four header styles and three layouts, along with customizing the logo and header image, you can create a strong first impression and score yourself new loyal readers. The customization is simple as pie and Type even allows you to create a basic online store. A blog and an online shop all in one? You bet! It does not necessarily mean that if a template is free it lacks features and quality. We made sure to pick only the top-notch products for you to enjoy building your sites with. And Type just happens to be one of everyone’s favorite. 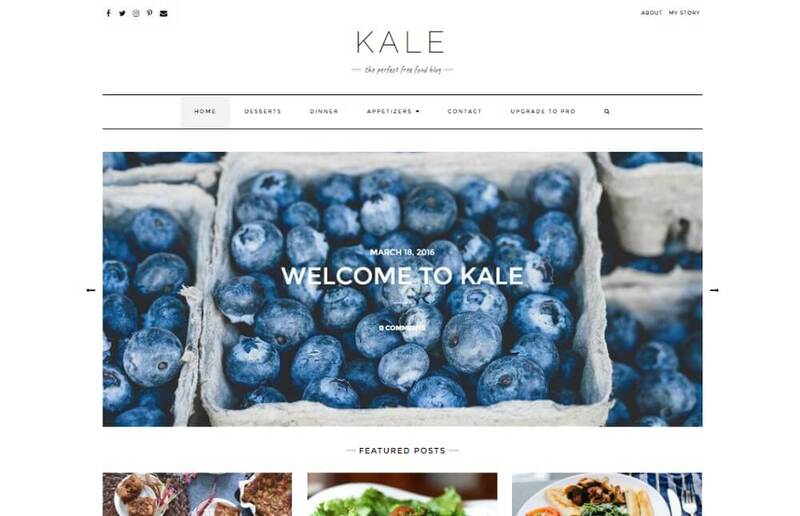 If you are looking for a stunning, beautiful and minimal free food blog WordPress theme, you should consider Kale. Your gorgeous and delicious dishes and mouthwatering recipes will shine in a bright light. Whether you are a professional cook or a home cook, Kale takes care of both of you. Not only that, you can use Kale for all sorts of purposes. You can easily turn it into a fashion or a lifestyle blog and way beyond that. In addition, the theme is also WooCommerce compatible for you to start running a successful online shop. What else do you need? Kale theme is fully optimized for search engines and cross-browser compatible. Your index page will feature a large highlight post and featured posts right below. For the slider, you can use banners or posts, whatever suits your needs best. There is no need to think twice, when you need something minimal, yet powerful, give Kale a go. You will going to be amazed by the online presentation that free WordPress blog theme, Writee, delivers. Although it is relatively minimal in design, it is still quite rich in features. You can craft blogs of all kinds in a mere of minutes with Writee theme. 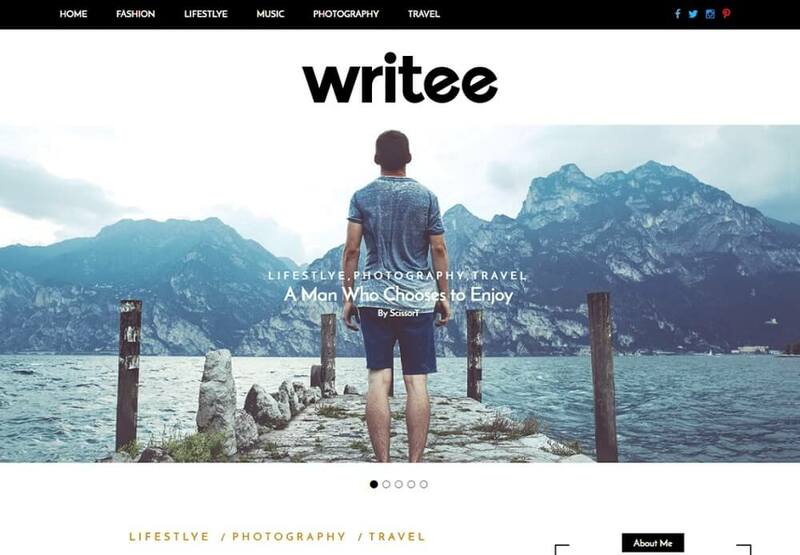 Let it be fashion, travel, corporate, personal or just about any other online journal, Writee is here to take care of your needs. The theme is fully responsive and retina ready, so it will gorgeously appear on any device screen and perfectly adapt to it. Upon your blog’s load, full-width or boxed slider welcomes guests with your fabulous content. Get them intrigued and make them start browsing and reading your articles and checking the images. As long as your content is of the best quality, you do not have to worry much. Writee will take care of all the technical stuff and make developing a website exceptionally fun. The theme also comes ready for languages like French, Italian, Russian and Chinese to name a few and supports WooCommerce. 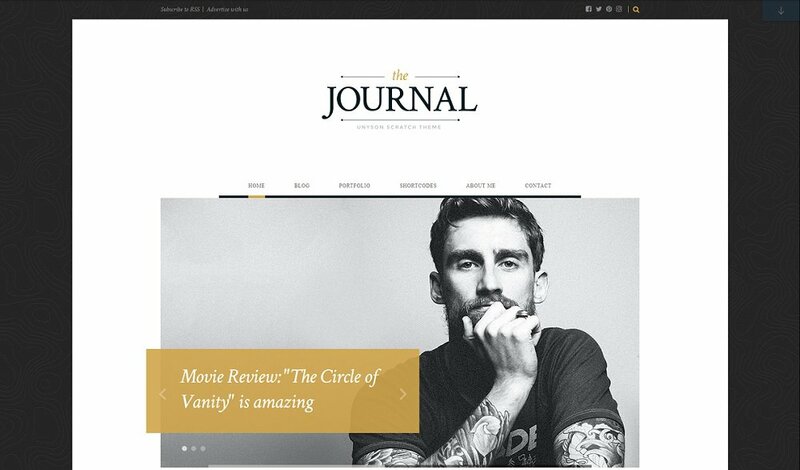 Journal sports a great quality and comes as a unique and awesome magazine WordPress theme. After a very long time, the developers at ThemeFuse are excited to present the long awaited free product with plenty premium features. 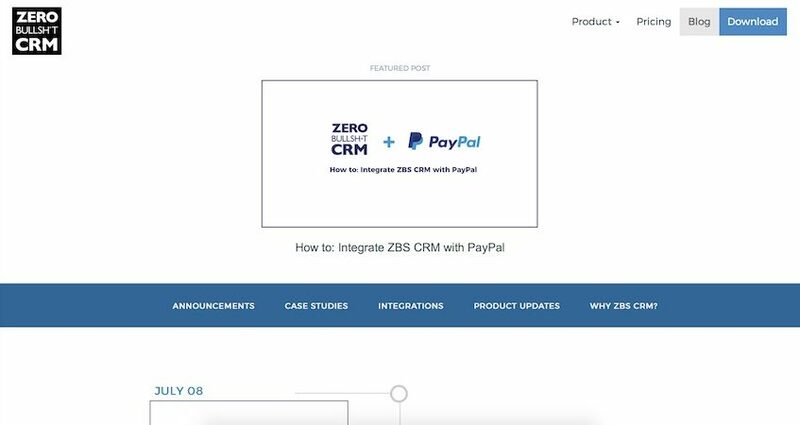 Some of the key goodies are the visual builder from their Unyson framework and a bunch of customization options built directly in the WordPress customizer. Journal is based on the light version of their popular The Core multi-purpose theme. Although there are a ton of themes out there which offer you just so many features you can take advantage of, sometimes you just need to take a step back. Instead of having all these widgets and unnecessary stuff on the website, it is much better to have it clean and minimal, letting the readers enjoy themselves browsing through your page. No distractions, no nothing, just the amazing content you are a professional at delivering at. With Epic Blogger free WordPress blog theme you can achieve just that. Give it a go and you will quickly become a fan of it. 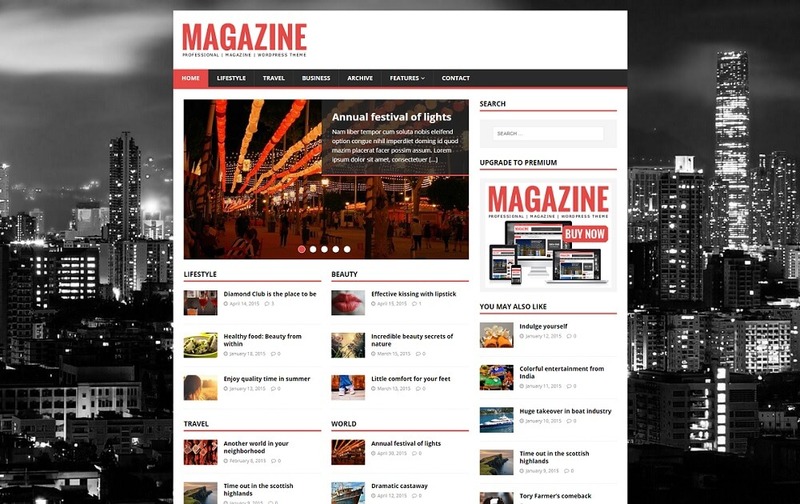 If you dig magazine-like WordPress themes, then, hence the name, MH Magazine Lite theme is a great option for you. It is an adaptable tool for building news sites with ease. Very user-friendly, allowing everyone to put together an original home for all the enticing news. Benefit from all the amazing features MH Magazine Lite sports and start publishing content that will make everyone crave for more. The theme also has ad spots ready for when you would like to monetize your online news site and turn it into a cash machine. Blend your content with the right banners and make your business grow beyond expectations. Hint: whenever you will need to bring things to an entirely different level, you can update with the premium version of MH Magazine theme. For everyone who is interested in putting the main focus on content, Underwood Lite theme is something you might consider. This free WordPress blog theme is very versatile and comes with a bunch of features which will help you create a stunning blog that your visitors will enjoy reading and browsing for years to come. 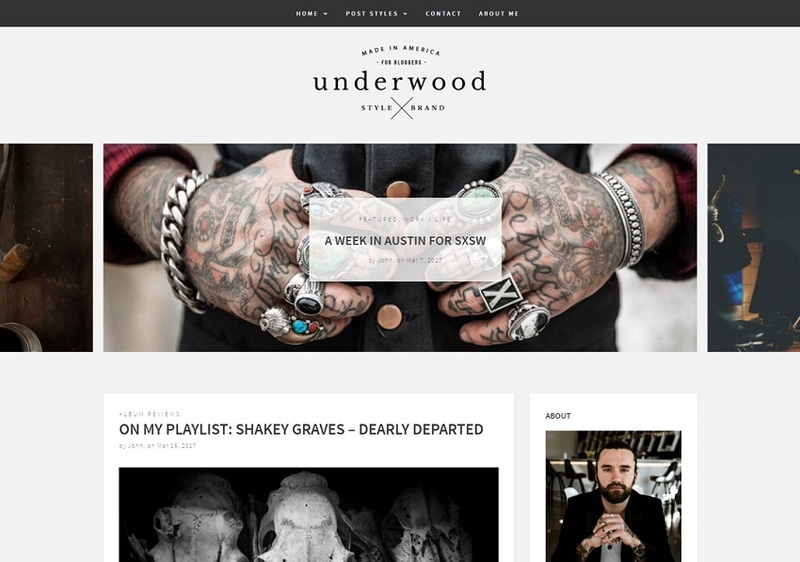 A lifestyle blogging theme with a masculine approach that follows all the modern standards. However, you can freely customize the look of it to the way it will affect your readers themost. 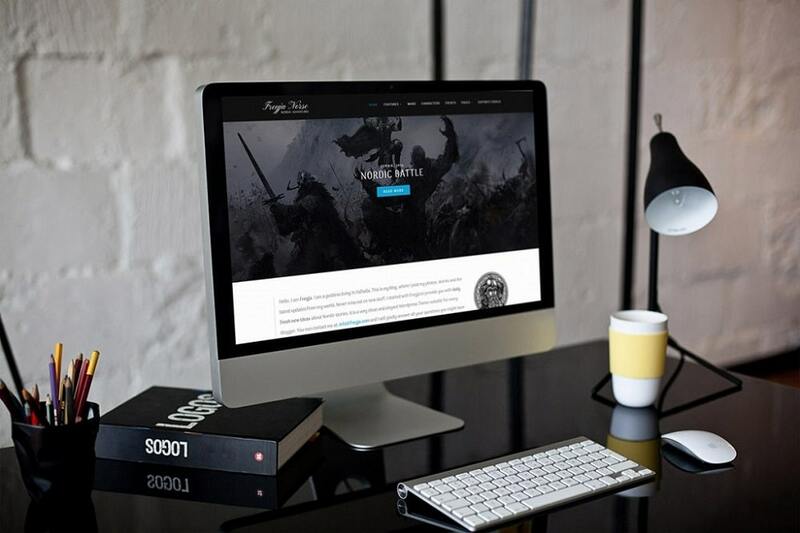 Whether you would like something that goes against the grain, Freyja Lite is your free WordPress blog theme of choice. It offers the reader an amazing experience flipping through the content and getting the most out of it. Every fantasy and mythical world enthusiasts will absolutely love this theme. However, if you like the layout and are not really into the fiction, you can always customize the time and make it look the way you like (just change the images). Not all features are available in the lite version of the Freyja, still, if it suits your needs, you can use it forever. 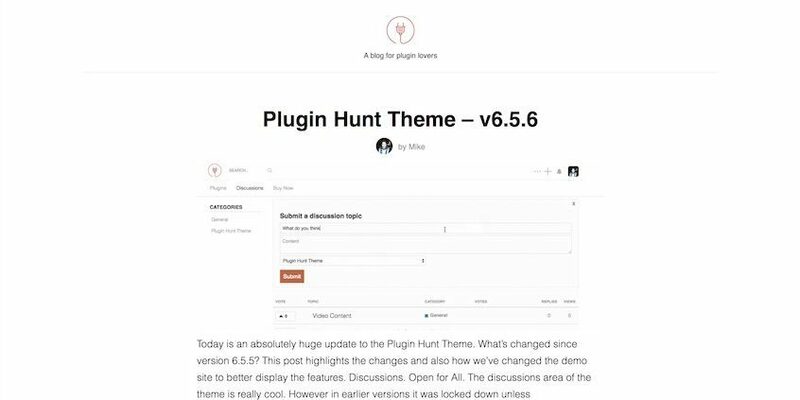 For a full version of the theme, go ahead and check out the premium blog theme. Many like the minimalistic lifestyle and many like to apply it to the online space, too. Let’s face it, no one really likes too many distraction on a site he or she visits. 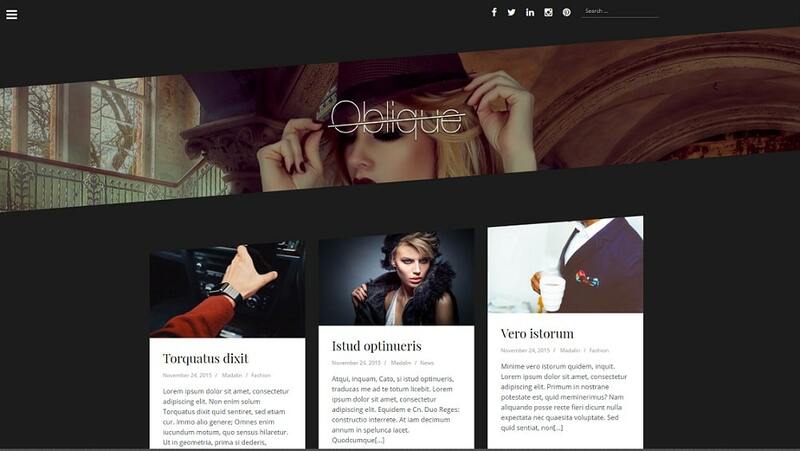 That said, Oblique is a blogging theme that will help you go as minimalistic as you like with your website. It was created with fashion blogging in mind. However, you can freely use it for any type of blogging you are after. A clean and fully responsive design with a parallax header and a clean code will help you take your visitors by storm. 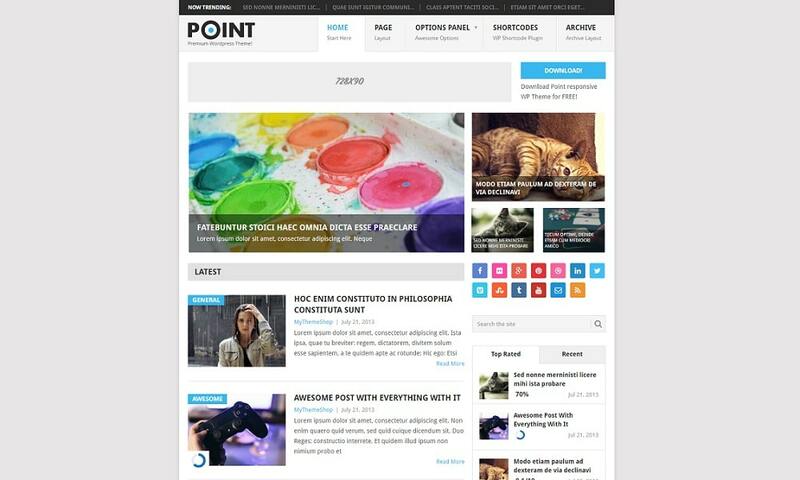 Though it might be free, Point is a multipurpose WordPress theme that features way more than you think. Its layout is 100% responsive (works on any device fluently!) and the theme is search engine optimized. Make it rank high in the major search engines for the keywords you would like your blog to appear! Moreover, it offers unlimited backgrounds, custom widgets, is translation ready and supports RTL languages. It doesn’t always mean that a free theme lacks in features. Pretty much every free WordPress blog theme you find in this list has a variety of premium features that will ensure you to create a stunning website at no extra cost. 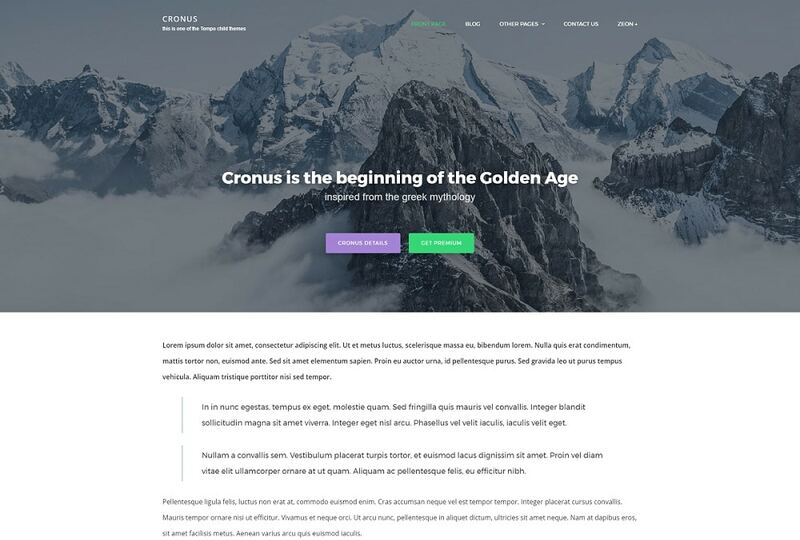 A business owner, a startup or an individual, Cronus is a perfect fit for all three. You can use it both for blogging, as well as to showcase your amazing work to random visitors and new potential clients. Everyone enjoys resting their eyes on a beautiful work. 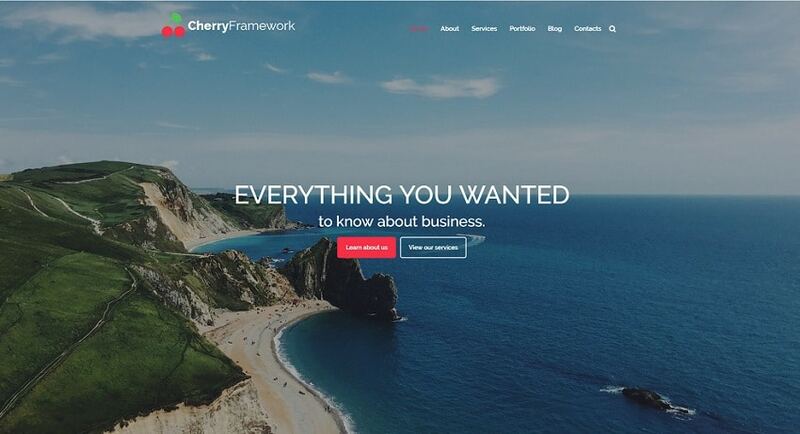 This free WordPress theme has everything to spice up your business project. A truly captivating design with a fully responsive website slider, Parallax animation, pleasant tones, and Lazy Load will make a WOW effect on every kind of audience. Team members and testimonials modules will help you to make your website far more reliable for your clients, while a professional-looking Services page will help you to showcase the full range of your services in a stylish manner. Social options, your business location, Facebook like box, Twitter timeline, advanced search, filterable portfolio, multiple blog layouts, various header & footer styles, and lots of other features will help you to build a website of your dreams on the fly! 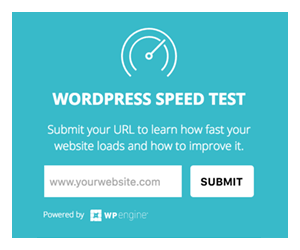 Looking for the best free solution for your photography a WordPress-powered blog? 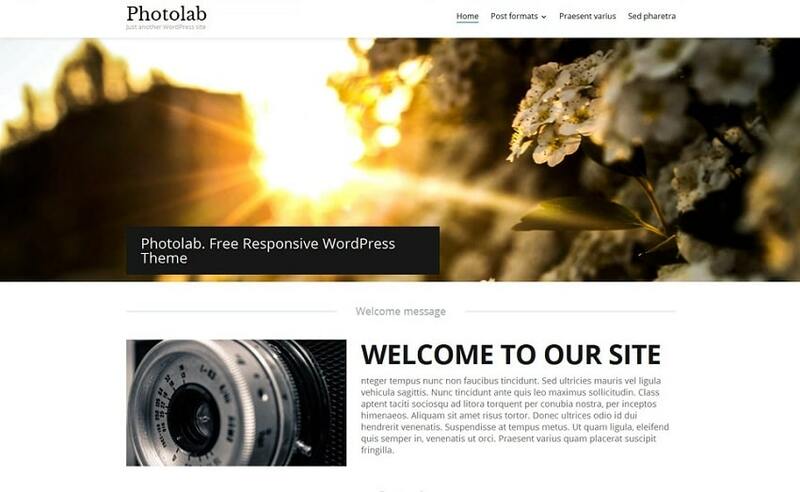 Meet Photolab – a fully responsive and well-documented WordPress theme! A full-width slider with Parallax animation and versatile catchy buttons with hover effects will help you to capture your audience, while a simple minimalist design will keep your visitors focused on your site’s content. Hurry up to download this theme for free to empower your photo lab as a pro! 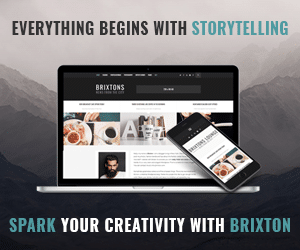 Do you really want to stand out from the crowd and create a one-of-a-kind website that will help you tell a story in a completely different way? If that might be the case for you, Epic Timeline theme is the WP blog theme you should take into consideration. With its unique approach, you can categorize your updates and have them presented in a beautiful timeline layout. This allows your readers to easily go back to the very beginning and start reading all over again. Moreover, Epic Timeline also has the feature post at the very top where you can showcase your latest content or bring to the top your most popular one. Just mark it as a sticky post and voila, the feature post is set. 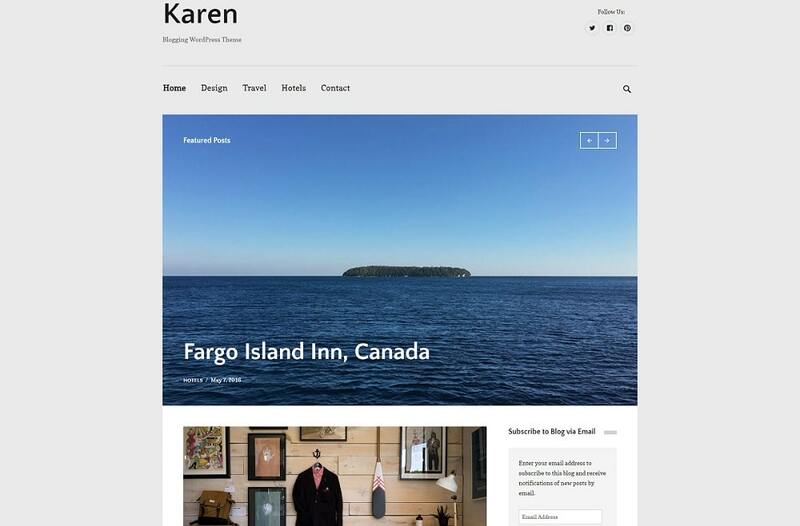 Kare is a free WordPress blog theme that goes above and beyond. It includes a bunch of different page and post types, two different sliders, full-width footer, social media buttons and more. Not to mention, you can super easily customize the color of the theme using the color picker. Change color of the text, links and even background. Moreover, whether you are a lefty or a righty, you can place the sidebar on either side. To make your content stand out even more, you can also add custom thumbnails to your posts to attract the visitors and make them go wow. 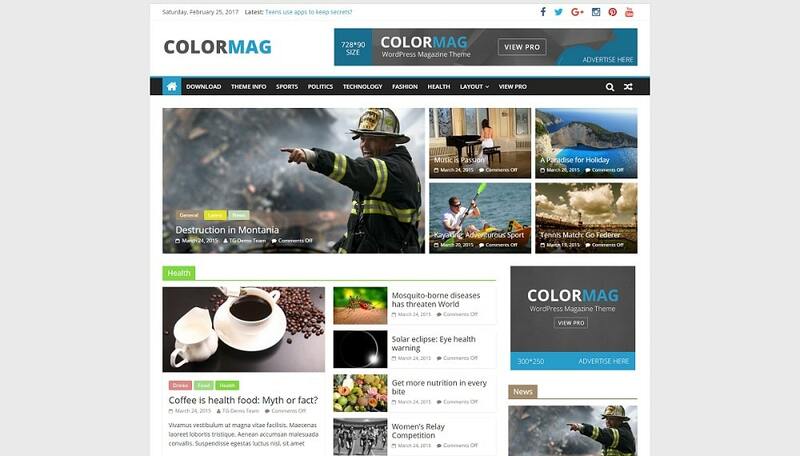 To make your website have a magazine or newspaper look, needless to say, ColorMag is a theme perfect for you. It has a classic look and comes with advertising placements where you can put banners or other media and visuals. Every category and topic you plan to cover can be presented with a beautiful color what will make your web page look more dynamic. Visitors can quickly access the content from the top menu or search for a specific term by typing it in the search bar. Get your new magazine going with ColorMag. 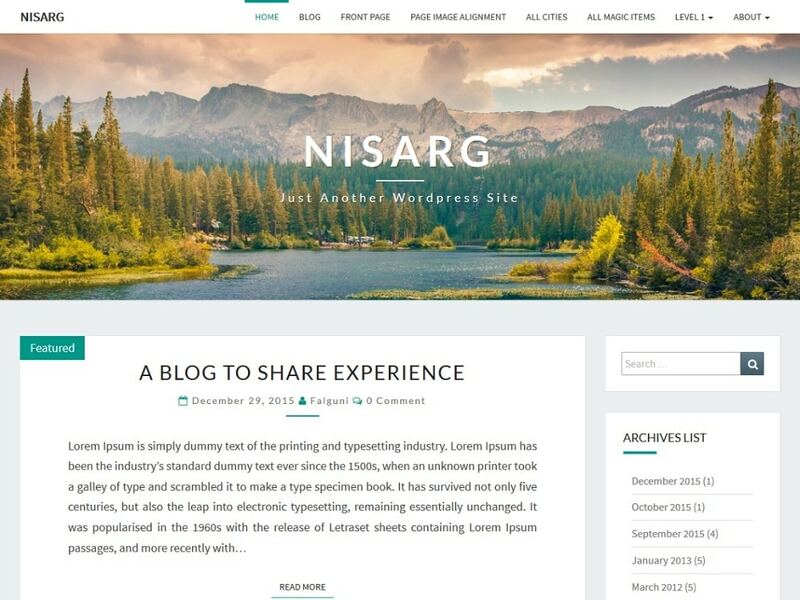 Food, travel, art, creative, design, you name it, everyone that has a passion for something can now bring it to the web with Nisarg free WordPress blog theme. Now is the perfect timing for you to create an online journal and tell the world what you enjoy. If nothing specific interests you, start a personal blog and write about your life in general. With Nisarg, you get a whole lot of customizing options that will allow you to add a personal touch to your website. It supports eight different post formats, is translation ready, has a responsive layout and an option to add your own image to the header. Blogs and magazine site creators, xMag is here to serve nearly all of your needs. With its versatility, you can very easily and quickly create a news-oriented website. It comes with several options that you should know about before deciding whether it is for you or you should pick another one from this list of amazing free blog themes. To go straight to the point, it features one and two columns, sticky post, custom background, colors, header and menu, is translation ready and accepts custom featured images. Doesn’t all this intrigue you? 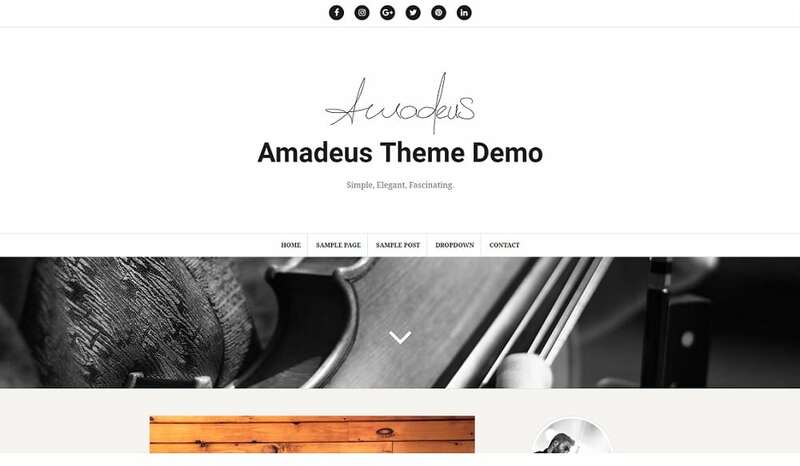 An exceptionally minimalistic free blog theme with a fresh and clean design, we are talking about the Amadeus theme. Custom widgets, parallax header, Google fonts and social icons, all this and more is what you get with the Amadeus. It doesn’t really matter what niche your blog will be all about, this time is open for every journalistic project you would like to launch. Start sharing your thoughts with the world, begin new discussions, break the barriers and make it popular. Finally, you decide to start a news focused website. Will it be a blog or will it be a magazine website? You cannot decide. You sleep on it but the struggle is still on. How to decide what to create? If that is your case, the Editorial theme is something you should go with. It is perfect for almost any kind of sites; blog, newspaper, magazine, etc. The theme is built on Customizer, meaning, you can change most of the sections of the theme the way you fancy. Moreover, with custom widgets, you are able to help users access different sections of your sites with ease. Now you know what to go with and the struggle is no more. There you go, pick any free WordPress blog theme listed above and start your blogging journey today. 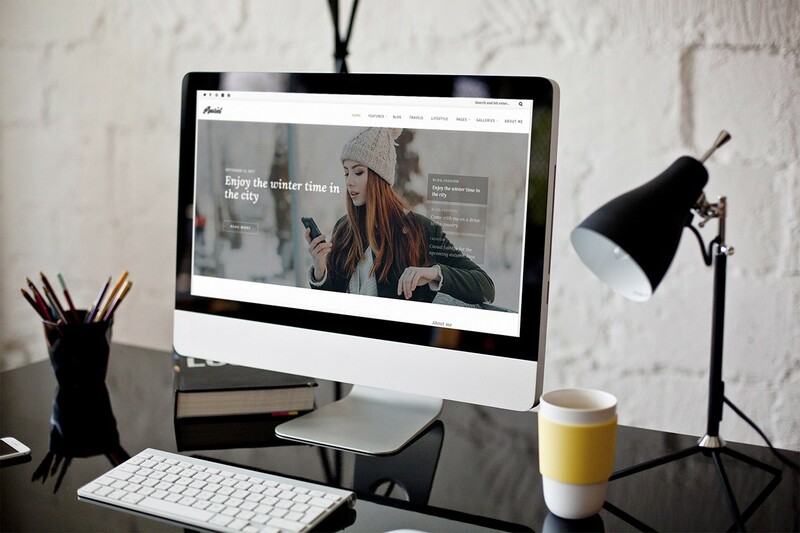 Once again, don’t forget, you can always step up your game and make your project look as professional as possible with a premium WordPress blog theme. With a premium theme, there are endless possibilities how you would like to customize and personalize your website. If you would like to promote your free WordPress theme (any type), we can help you spread the word. Free of charge! Simply fill the contact form and let us know more about your work. We will then review your theme and inform you whether or not we will share it on our blog. I was searching for a minimal theme. I found a great theme for my blog. If you want to update your list, take a look at Phlox WordPress theme.